Since iPhone 6s and iPhone SE don’t let iPhone fans’ eyes light up in designs and functions, more and more iPhone users plan to switch from iPhone to Android phone. And if you also want to ditch iPhone but have some important data, like notes, you may want to transfer them from iPhone to Android phone for further use. However, both operating systems have different programming structure, there is no way to directly transfer data from iPhone to Android via a simple USB cable or Bluetooth transfer. You need to make use of some tools to help you finish the task. Therefore, the post will introduce you how to transfer notes from iPhone to Android phone in several methods. 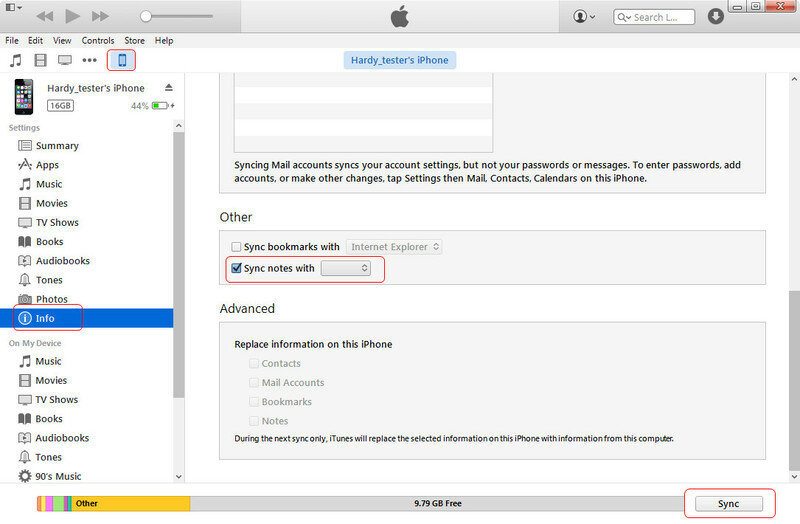 You can also use these methods for other important iPhone data, like contacts, photos, music, etc. 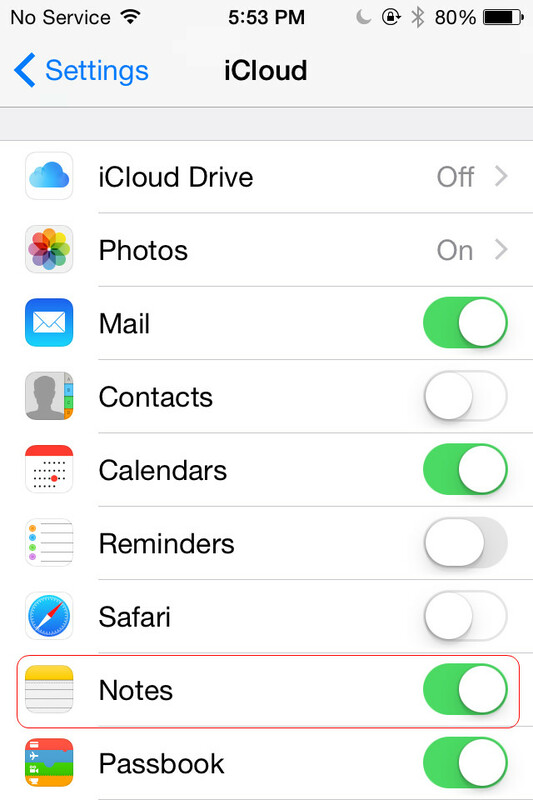 iPhone users are able to sync contacts from iPhone to Android phone with Gmail. You only need to follow the two steps below and finish the task with ease. 1. 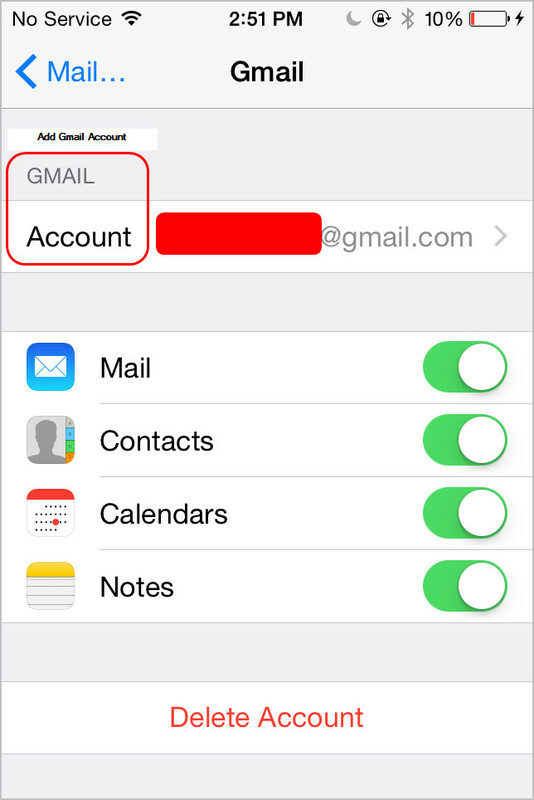 Tap Settings > Mails, Contacts, Calendars > Add Account, and add Gmail into your iPhone. 2. Then tap Contacts to ON. Go back to Home screen, and launch Contacts App, then the contacts will be synced to Gmail. 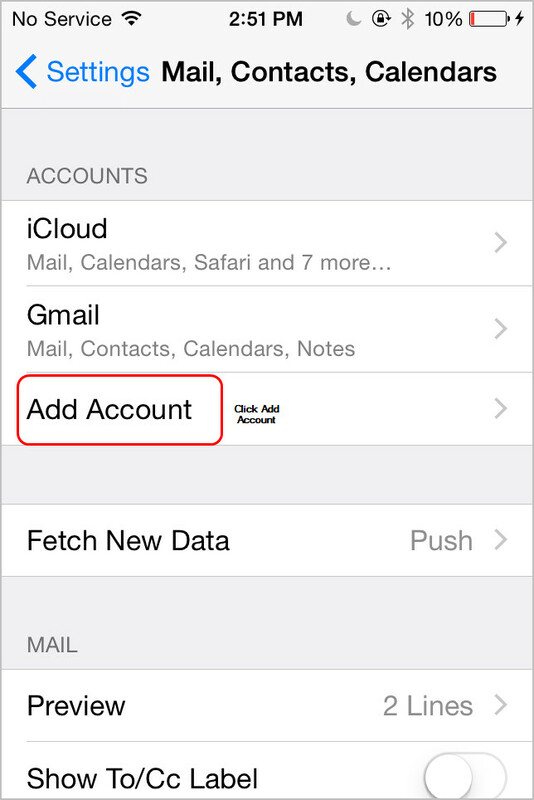 After Syncing iPhone contacts to Gmail, you can manage your iPhone contacts with Gmail, like syncing Gmail contacts to your Android phone, or exporting the contacts to computer. Set up your Google or Gmail account on your new Android device and you should be able to automatically see them in your Gmail app. 3.On your Android phone, configure your Outlook account. Once the process is completed, you are able to find the notes inside the Reminders folder in your Outlook application. You are able to view them with no efforts. You can also take advantage of iCloud to transfer notes, there is no direct way for you to save them straight on your Android device. 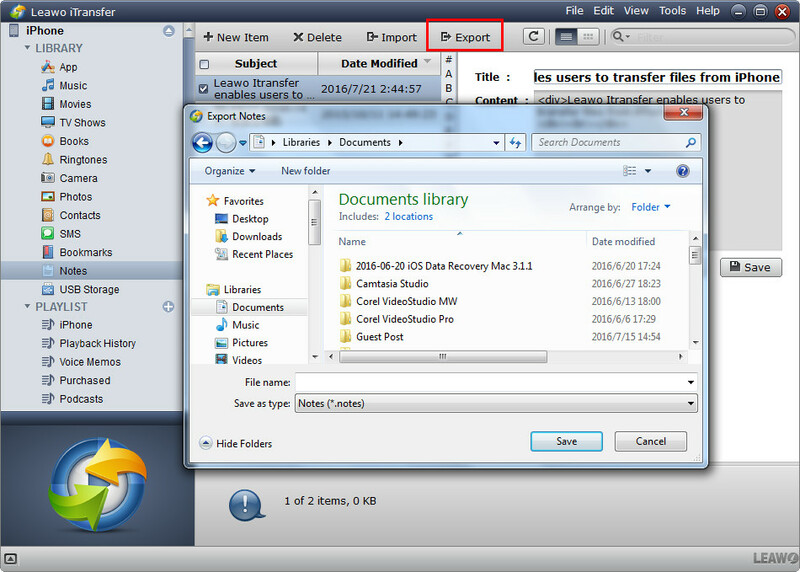 Therefore, you need to transfer them from iPhone to PC and email them to your Android phone. 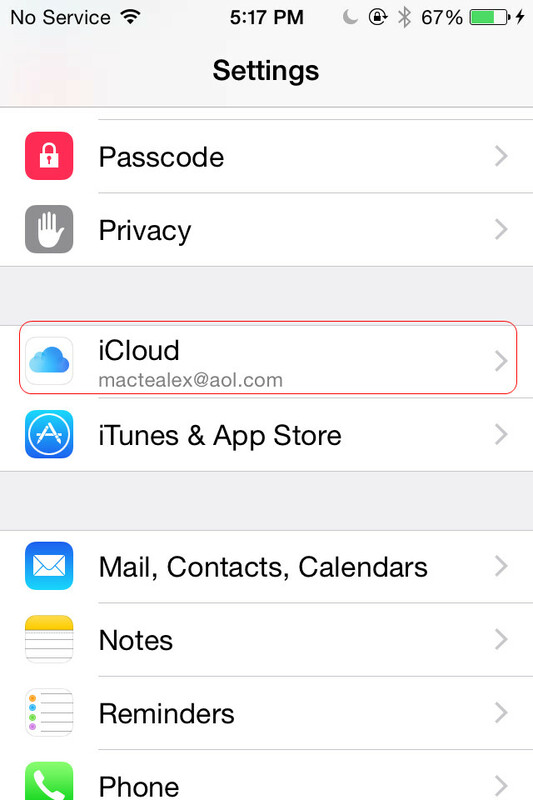 Access your iCloud account on your computer. You will be able to see the notes that you have sync with your iPhone. To transfer it to your Android phone, email the notes that you want to yourself and download it straight on your android device. If you only have a few notes, you can transfer iPhone notes to Android phone by easily emailing them to yourself manually. The detailed steps are shown as below. 1. Launch the Notes application on your iPhone and select a note you want to transfer. 2. 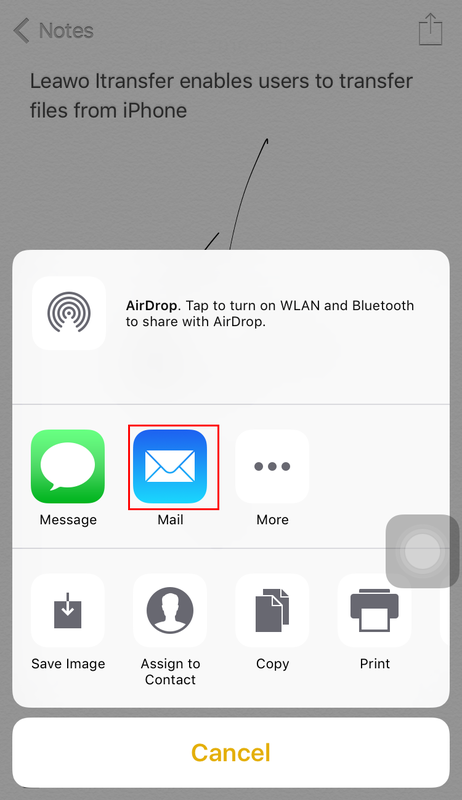 Tap on the share icon and select “Mail”. 3. Type in your email address in the recipient filed and press “Send”. 4. 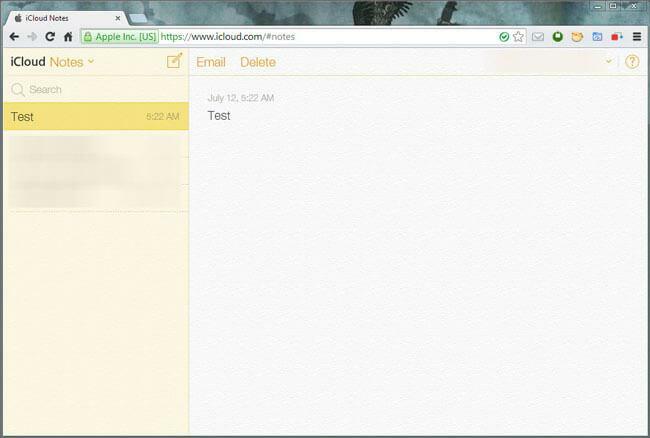 Access your email on your Android device and download the Notes to your Android phone. Apart from the four methods mentioned above, you can make use of iPhone data transfer tool to finish the task. 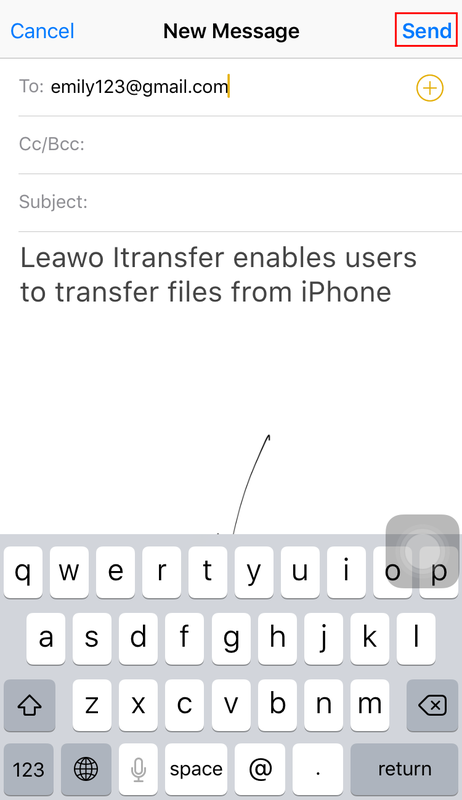 The powerful but easy-to-use iPhone transfer software enables you to transfer all your notes from iPhone/iPad to PC/Andoird in seconds. You can follow the steps below to know how to do that. Step 1. Run Leawo iTransfer on PC and connect iPhone to your computer with the USB cable. The software will recognize your iPhone. Step 2. Click the name of iPhone and choose Notes in the left sidebar. The iPhone notes will display in the right part of the window. Check the notes you want to sync and click the Export button at the top middle. You are also allowed to edit the note before you transfer notes from iPhone to Android. Step 3. You’ll see a pop-up dialog after clicking the Export button. Choose the Android phone as target and then click Save to begin transferring notes from iPhone to Android. When the transfer finishes, you’ll get the notes on your Android phone which are saved as .note file. 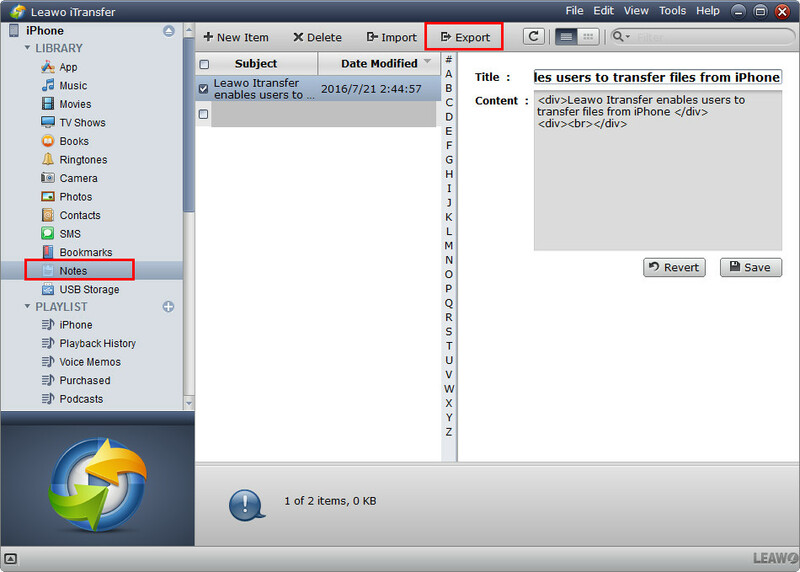 This software is also helpful for other data transfers, for example, you can transfer music from iPhone to computer with it. If you are interested in this software, just check it out.